It’s pretty easy to feel like you’re addicted to your iPhone. 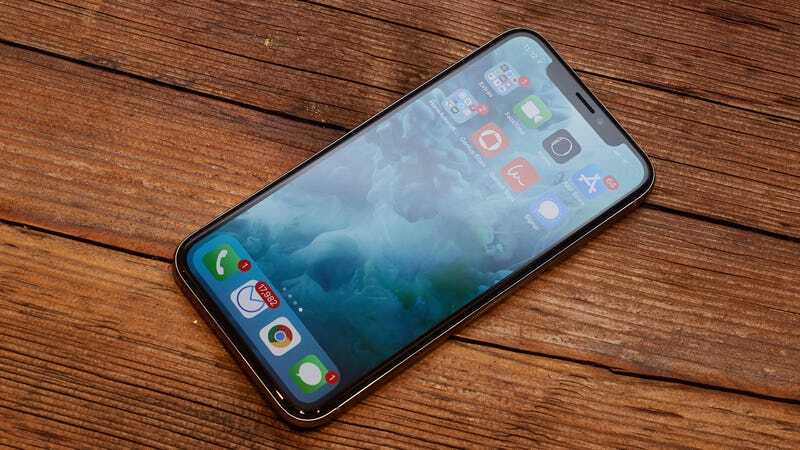 Apple knows this (as do its investors), and today it announced three digital-health centric features coming to iPhones and iPads as part of the company’s next big mobile OS update, iOS 12. “Now I’d like to take a moment to talk about something that’s been on a lot of people’s minds lately,” said Apple’s iOS boss, Craig Federighi. “Some apps demand more of our attention than we might even realize... Some of us, it’s become such a habit, we might not even recognize just how distracted we’ve become.” Woah, you might be onto something, Craig. First up is do not disturb during bedtime—an amalgamation of two preexisting features already built into iOS. In the coming update, you’ll be able to set your phone to hide the wall of notifications that can build up on your device overnight. The next day, Apple will present a more calming “morning screen,” displaying the weather instead of a stressful list of junk you’ve got to catch up on. Next we have notifications. “We’d like to give you more control over how many notifications you receive,” said Federighi. Instead of forcing you to plunge deep inside the settings app to adjust your notifications, you’ll be able to adjust them from the lock screen. Thinking rationally, Apple is also going to group similar notifications together, like Calendar alerts. Most predictably, Apple has a new feature coming called screen time. The app will track and chart how you use your iDevice and send you weekly reports that will no doubt bum you out. Federighi said screen time will monitor how much time you spend in apps and how often per hour you use your phone. It’ll also keep tabs on which apps send you notifications. There’s also something called app limits that will let you set restrictions for how long you can use certain apps—note: you’ll be able to bypass any restrictions you set, but maybe the sad alert screen will help dissuade you from wasting more time on Instagram. With App Limits, Apple’s also going to expand some of its parental controls, so parents can restrict how long their kids spend in certain apps, or certain types of apps. Apple shared the news above at its annual conference for developers, WWDC. This follows Google’s announcement of “digital wellbeing,” a project that attempts to curtail the addictiveness of Android devices—or to at least make it look like Google’s doing something about it. “Great technology should improve life, not distract from it,” reads Google’s new digital wellbeing site. The initiative includes reminders to take a break from services like YouTube, tools to help Android users monitor the time they spend inside various apps, and a “wind down” feature that pings you to go to bed at a preset time while reducing blue light and gradually fading your screen to black and white.